Usually when we think of the Advent story, Mary, Joseph, and the angel Gabriel come to mind. Okoro approaches Advent a little differently, inviting us to sit for a while with Zechariah and Elizabeth and the story of how they came to bear their only son, John. "The Advent story we so often associate with the joy of Christmas actually begins with deep sorrow and longing. But thankfully, in the kingdom of God, there is always more to the story than meets the eye," Enuma Okoro writes. Zechariah and Elizabeth were good people. They had maintained faith and hope in God for many years, despite Elizabeth's inability to conceive, a condition considered shameful in their time. So they were quite familiar with the universal human experiences of longing and waiting. Even though this couple's story takes up only one chapter in Luke's Gospel, it contains enough lessons about faith and life to last for weeks. 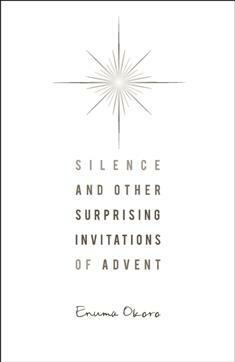 In her beautifully written, imaginative meditations for each day of Advent, Okoro looks closely at the doubts and longings of Zechariah and Elizabeth. As you explore their story, Okoro guides you to reflect on your own experiences of waiting and longing, of grief and the need for community, and of hungering for God. These poetic and poignant meditations will linger with you long after Christmas. Reflection questions and a prayer challenge accompany each week's meditations. A perfect book for individual or group study.